Blood pressure is the pressure of your blood on the walls of your arteries as your heart pumps it around your body. It’s a vital part of how your heart and circulation works. Your blood pressure naturally goes up and down all the time, adjusting to your heart’s needs depending on the activities you are performing. High blood pressure is when your blood pressure is persistently higher than normal. A blood pressure reading under 120/80 mmHg and up to 139/89 mmHg are in the normal to high normal range. Blood pressure that’s high over a long time is one of the main risk factors for heart disease. 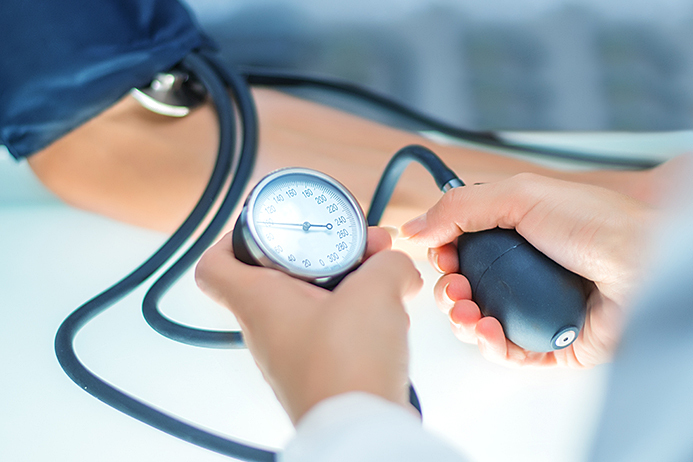 As you get older, the chances of having persistently high blood pressure increases. It’s very important to get your blood pressure checked regularly, and if it’s persistently high it needs to be controlled. Uncontrolled high blood pressure can lead to a heart attack or stroke. It may also affect your kidneys. The medical name for high blood pressure, over a long period of time, is hypertension. It is important to be aware of foods that are more likely to affect our blood pressure in a negative way. Many social activities involve eating and drinking with friends and family, and so it is essential to understand which foods to avoid and which foods should be approached with moderation. Diet can play a major role in the development of high blood pressure. Diets high in fat and calories can result in obesity, which is a common risk factor for the development of high blood pressure. In a similar way, diet can also play a very important role in the treatment and control of blood pressure. In many cases, patients who focus on weight-loss and diet may stop taking chronic medications that have been prescribed for control of hypertension. Hypertension is a treatable risk factor for heart disease. By working closely with your holistic nutritionist to modify your diet, you can prevent the consequences high blood pressure has on your health. Check out these top foods that may cause an increase in blood pressure so that you can avoid them. Canned beans can be loaded with sodium for preservation purposes. If purchasing canned beans, rinsing the beans in a colander under running water can help wash away most of the salt. Surprisingly, the consumption of alcohol has actually shown to reduce heart disease risk. The catch? Consuming alcohol in moderation and in recommended amounts – limited to two servings per day for men and one serving for women. Too much alcohol can result to initial dehydration and long-term weight gain, both consequently increasing blood pressure. Just three slices of regular old bacon contain roughly 4.5 grams of fat and 270 milligrams of sodium. Despite the promotion of nutritious veggies, soups can be loaded with salt and sodium. And unlike canned beans, soups cannot be rinsed to reduce the salt content. When choosing soups, try to find “low in sodium” or “reduced salt” products or take advantage of the nutrition facts label. Before you go stock up on a bunch of solidified cow juice, consider the following facts about cheese and its heart-harming saltiness. Roquefort cheese, as delicious as it may be, contains 507 milligrams (21 percent of your recommended daily intake) of sodium per 28- gram serving. The next time you’re deciding which cheese is best, go for grilled cheese and keep those numbers in mind. Tomato sauces, pastes, and ketchup are often loaded with salt. Create your own dishes with fresh or rinsed, canned tomatoes for ingredient and salt control. We enjoy eating their vast, varied, and delicious offerings as much as anyone else. What makes the food taste so good, though? Sodium — Chinese food is laden with sodium. A common entrée such as beef and broccoli can contain almost 3,000 milligrams of sodium. If you add soy sauce, add an additional 1,000 milligrams. 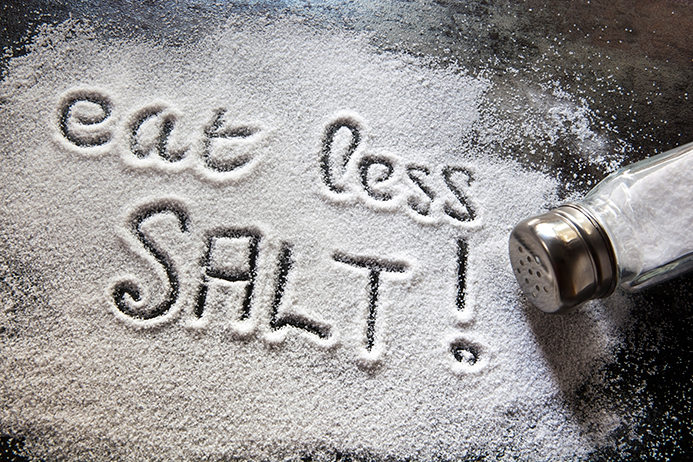 This type of salt load can substantially raise blood pressure and cause you to retain excess fluid, so consider ordering your toppings on the side and your meats and vegetables steamed instead of fried and slathered in salty, sugary sauces. Prepackaged meats, including breakfast sausages and hot dogs, tend to be loaded with sodium. Despite the misbelief that deli meats, such as turkey, may serve as lean protein source, added salt is common. Avoid the hidden sodium by purchasing directly from the butcher rather than from the grocer’s refrigerated section. Caffeine-containing beverages such as a coffee can cause a significant spike in blood pressure, something that’s bad for your heart and can also cause your libido to come down. Caffeine may cause the adrenal glands to release excess cortisol and adrenaline substances that typically cause a further rise in blood pressure. Meals found in the freezer section – pizzas, chicken strips and individually frozen entrees – are not only loaded with unwanted ingredients but filled with sodium. Even the so called “healthy” meals tend to contain a high amount of sodium. A 28-gram serving of boneless cured ham has 172 milligrams of sodium and 15 grams of fat. That serving is a measly ounce, meaning a moderately portioned four-ounce slice of ham has about 688 grams of sodium. Thus, we suggest limiting your intake, saving tasty ham recipes for holidays like Easter. Candy essentially offers nothing more than calories and sugar while spiking sugar levels. Skip out on sugary suckers and candy bars. Opt for naturally-sweetened fruits rich in fiber and potassium, which is an essential nutrient that has shown to prevent high blood pressure. Soft drinks, just like candies, supply nothing more than sugar and calories. One can (or 12 fluid ounces) of soda generally contains more than 9 teaspoons of sugar or 39 total grams – that is the entire daily recommended amount for men and two-thirds for women! Doughnuts, cakes, and cookies are loaded with sugar along with fat. The combination may contribute to weight gain in excessive amounts. Reduce the consumption of these products by keeping the portion and serving sizes in check. Sauces and condiments can be a double whammy when it comes to their composition of both salt and sugar – ketchup is a notorious condiment for supplying high amounts of both. Season products with fresh herbs or make sure to use small amounts if choosing to use dips or sauces. Thank you for tyhe list of products we have to avoid. The article is every useful, as a lot of my friends suffer from this isssue. Is tuna fish ok to eat for someone who has high blood pressure? Tuna fish is very high in mercury content for anyone so I do not recommend it at all or very minimal like a couple of times a year. Thank you. I need a healthy diet daily food combination to help reduce high blood pressure. I am working here in middle east area.